Every choice you make comes with a certain degree of risk. In some instances, like taking just one bite of the best homemade cherry pie from the World Famous Sweetie Pie’s in Door County, Wisconsin, the risk of adding a pound or two to your waistline may very well be worth it. Especially since you can do some intermittent fasting or go for a long walk to burn those extra calories off, regulate your blood glucose and get back to your thinner self. But when you are buying gold and silver bullion, you want to remove as much risk as possible with your precious metals transaction. Well number one it is your money, gold and silver on the line. Number two is that over and over again, we see scumbag precious metals dealers ripping gold and silver bullion buyers off and in many cases, the victims are not getting all their metal back. This industry is full of con-men, felons, scam artists or simple idiots who don’t know how to run a business. In my best selling book, Stack Silver Get Gold, I list many instances of precious metals dealers ripping off bullion buyers, scamming old people and not delivering metal. I also list some of these sneaky bastards in a previous article called The Chicago Way Precious Metals Protection Plan. Here are a few of the precious metal nutjobs who didn’t get away with it…. Morgan Stanley and UBS charging storage fees for silver they did not possess. 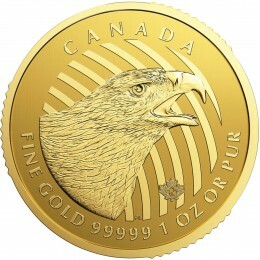 Northwest Territorial Mint not delivering bullion to customers. Bullion Direct sales and storage scam. Even the HUGE precious metals dealer KITCO has issues. The people who bought from these precious metals dealers probably didn’t even think twice to consider there was any risk in buying gold and silver from these guys. Yet there was. And some of them paid for it in gold and silver. 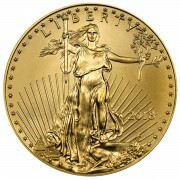 Realize there is risk and remove as much of the risk as possible when you are buying your gold and silver. How in the hell do I do that? 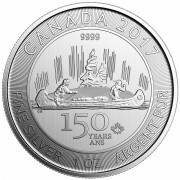 Well smart reader, you should look to the land of 10,000 lakes when buying your precious metals. Yes, Minnesota is good for getting gold. Not only does Minnesota have no sales tax on precious metals purchases but, more importantly, the state heavily regulates it’s precious metals dealers! In the vast majority of instances, regulation is a joke. A way for sneaky government bastards to collect more hidden taxes from their citizens and trip up any business who they deem goes against their interests. But in this case, the Minnesota gold and silver regulation reduces your risk when buying your metals. I actually feel sorry for the Minnesota gold and silver dealers because they are the toughest precious metals regulations in the entire United States. Regulations similar to the regulations placed by other states on financial advisers. The Minnesota Department of Commerce basically rules over the precious metals dealers and their employees. So what is this regulation I speak of? *All Minnesota precious metals brokers must pass criminal background checks. Felons and anyone who committed a financial crime in the last decade are barred from the Minnesota precious metals industry. *Consumer information is protected and cannot be sold to third parties. *Precious metals dealers must provide itemized details of each transaction and deliver metals within 30 days. *Criminal charges. Precious metals dealers who violate the regulations can be charged with a crime and also fined thousands of dollars for each violation. * Dealers must respond to complaints quickly and cannot overstate or promise excessive profit potential. They also must provide accurate details on precious metals storage. *Precious metals dealers must post “Surety Bonds”. Surety bonds are stashes of cash that are held by the state to be paid out to any victim of dealer manipulation. No other state in the union requires this much of their gold and silver dealers. 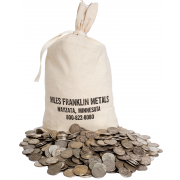 Since Minnesota is removing the risk for you, it might be a good idea to make big precious metals purchases through a Minnesota precious metals dealer. Now smart reader, guess which precious metals dealer is based in Minnesota partly for the fact that Minnesota has such tough regulations? Tell them World Famous Hunter Riley III sent you. If you are looking to make a big precious metals purchase, these are the guys you want walking you through the process. Now go order and take a bite of that Sweetie Pie’s famous cherry pie, but don’t risk your metal anymore.